There really can’t be many wells this remote that are so conveniently reached by public transport, but Ffynnon Beuno here in the hills above Bontnewydd is only a couple of hundred yards away from Tryfan Junction station on the Welsh Highland railway, which has welcomed passengers on and off since 1877. I’m afraid to say we didn’t take the green travel option on this occasion; the line doesn’t run in the winter, so we had to visit by car. 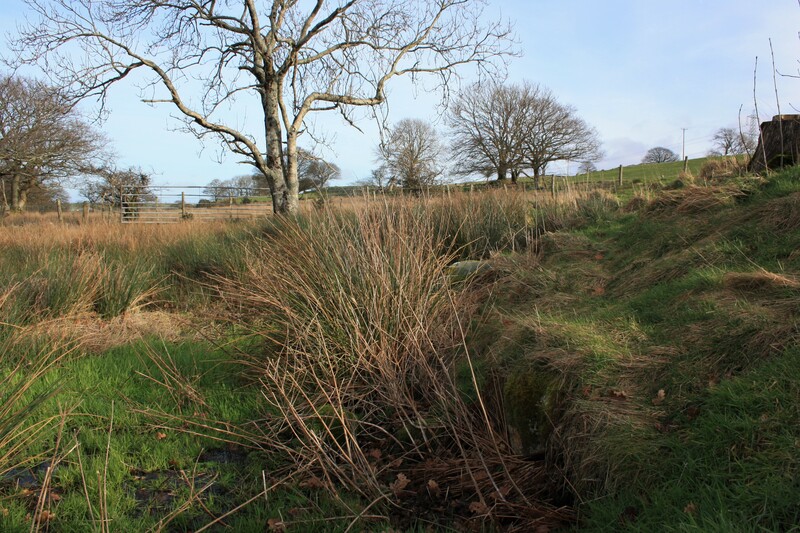 The site is a couple of miles to the south west of Caernarfon,; closer both to Bontnewydd, from which we reached it, and to Rhosgadfan than it is to Llanwnda, but since Llanwnda parish covers the area that is where I have located the well in the title. After the death of Cadfan, Beuno went to visit his successor, Cadwallon ap Cadfan. Cadwallon gave Beuno a place in Arfon called Gwaredog [in the parish of Llanwnda, in return for which Beuno gave him a gold gwaell, ‘brooch’ [ some other earlier versions give this as sceptre] which Cynan ap Brochwel had given him when he died. The brooch was worth sixty cows. But when Beuno began to build there, a mother appeared with her child, claiming that the land was the child’s patrimony. Beuno took the woman and her child to the king at Caernarfon. He demanded that the king should give the land to the woman’s son, and give Beuno other land in return for his silver (sic) brooch. The king refused and Beuno cursed him, desiring that he would not rule for long. Gwideint [Gwyddaint], cousin of the king, gave to God and St. Beuno his own township of Clynnog, for his own soul and the soul of Cadwallon. Church dedicated to Beuno, yet it bears the name of Gwyndaf. Wake 21st April. In this parish at a place called Gwaredog was born Maenwyn, afterwards called St. Patrick. While noting another mention of Gwaredog, it must have been a place of more significance in the past than it is now; I’m not sure where he derives the information about Patrick. The Royal Commission visit report notes that at the time of the Reformation the church in Llanwnda was a chapel of Clynnog Fawr, which obviously is dedicated to Beuno. The parish feast day continued to be celebrated on April 21st – St Beuno’s day. A river, albeit a small one, flows down from north east of Bontnewydd, joining the main river, Afon Gwyrfai just to the west of the village. This is Afon Beuno. Up until the early twentieth century a large house stood on its banks carrying the name Glan Beuno. Although this has now been replaced by more modern housing Beuno is remembered in some of the street names. It is curious too to consider why the well here should be so far away from the centres of population; of course settlements and routes shift over time. 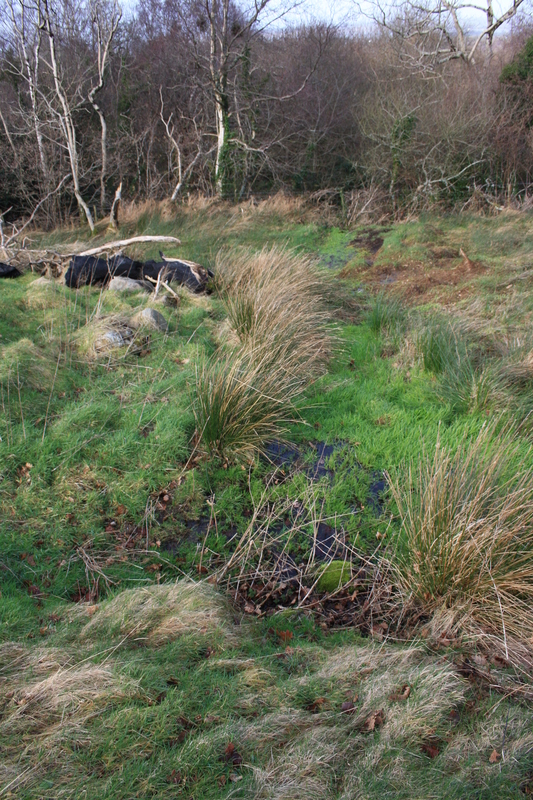 The well lies beside a track that was almost certainly once a busier route linking the two valleys either side of the ridge between Waunfawr and Bontnewydd. It is also close to two farms that retain the name Gwredog pinning this down to the area where Beuno supposedly failed to establish his first church. The earliest reference I have found so far for the well name is on the early Victorian tithe maps, where the field in which the well lies is named as Cae Ffynnon Beuno demonstrating that the well must have been thus named and regarded as a landmark since long before that period. Clearly being so far from the recently modern road network, it fails to get mentioned by any of the Victorian travel writers and it was passed over by the Royal Commission survey. The only previous physical description I have found dates from a Gwynedd Archaeological Trust (GAT) survey of 2010, where they noted that it was to be seen to be emerging from the side of a gravelly slope beneath a tree, though the site was noted as being largely destroyed. 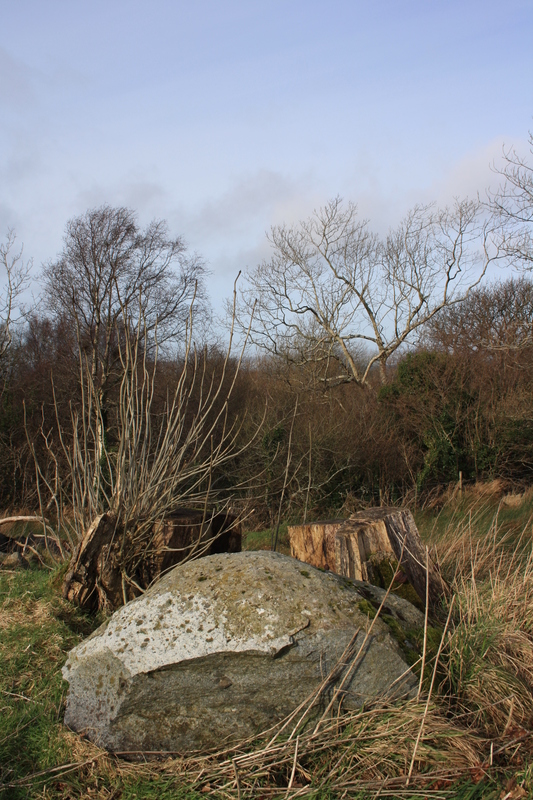 Today even the tree is gone, just a stump remains; it appears to have been brought down relatively recently. The well though still emerges from the bank, below the tree stump. There is a suggestion in the GAT Report that the well may have once have been surrounded by a structure with steps into it. While this is difficult to see, it is clear that there are still a significant number of scattered stones in place around the point where the spring emerges, and a pile of stones, maybe removed from the site lie close by. Another large stone is set into the ground at the top of the bank where the water emerges. It is reasonable to assume that there was once some form of structure to the site. 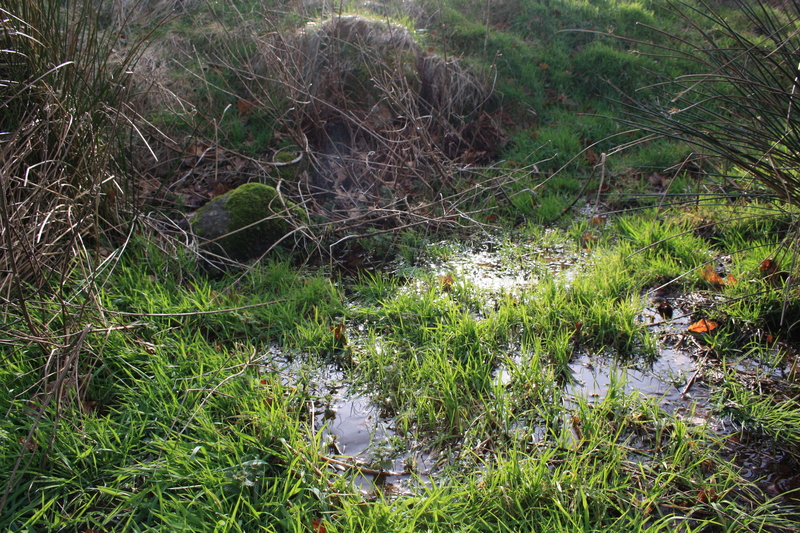 The well still produces a reasonable output; water can be seen flowing from the spring and flooding the field below the outlet, before forming a stronger stream that flows through woodland below the site and out beside the road lower down. So, all in all, this was a welcome discovery. This was our eighth and possibly last Ffynnon Beuno (I’m not currently aware of any more in the area – though that doesn’t necessarily mean that there won’t be), three of which have been totally dry and filled in, and while this is far from the best it joins a select band that continue to flow, it’s just a shame that any further history, earlier description or tradition associated with the well appears to have been lost. 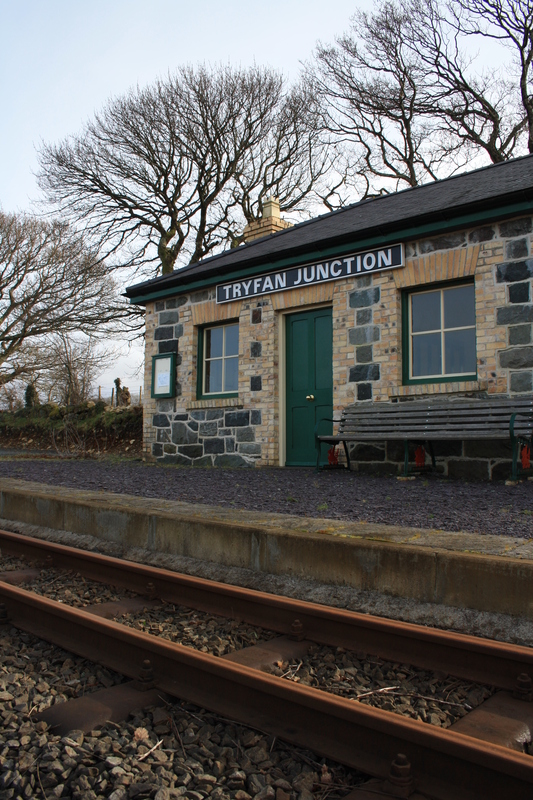 Tryfan Junction Station is a request stop, should you ever wish to alight there you must notify the guard when boarding. Fenton, Richard. Tours in Wales (1804 – 1813) . Edited by John Fisher and published by the Cambrian Archaeological Association, 1917. Hopewell, David and George Smith (2010) Prehistoric and Roman Sites Monument Evaluation 2008-10. GAT Report 921. Brilliant work! I appreciate the research. I am still in wonderment of the miles and time the water travelled to reach the site and how the holy and medically inclined might have worked the site perhaps greeting the passersby or by appointment. How did water worship jive with early alchemy? I went to have a look at this well today on my circular route around Waunfawr, the latest destruction seems to have been as a result of the recent storm (The Beast From The East) and uprooted the tree completely. There was still some water flowing from the source though.